Pique Tea has announced its expansion into Whole Foods stores in Northern California. Pique Tea makes organic, loose leaf grade instant tea. 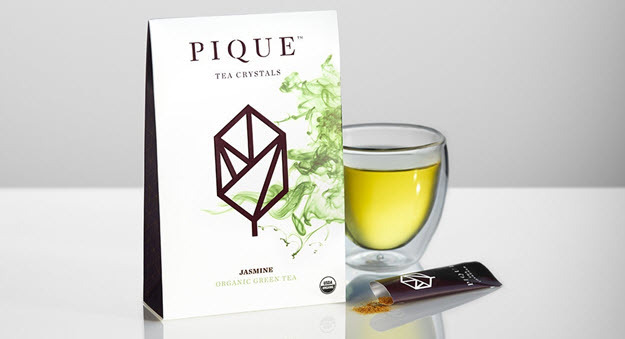 Pique Tea says its tea crystals are made in a slow brew process using organic whole tea leaves that are hand-selected direct from its source farms. Simon Cheng, founder and CEO of Pique Tea, says in a statement, "Loose leaf tea was a fundamental part of my daily life while growing up in Hong Kong, and our mission at Pique Tea is to make the world's healthiest form of hydration easier to prepare, enjoy and benefit from. Launching into Whole Foods is an amazing milestone for Pique Tea, allowing us to reach more consumers and provide greater access to this healthy, great tasting and effortless beverage." Pique Tea launches at Whole Foods with five varieties: Organic Jasmine, Organic Earl Grey, Organic Sencha, Organic English Breakfast and Organic Mint Sencha. The tea also recently debuted on Amazon Launchpad. The tea can be found here on Amazon.com.